One of summer's great pleasures is lazing in a hammock, just sleeping, reading, or doing nothing at all. 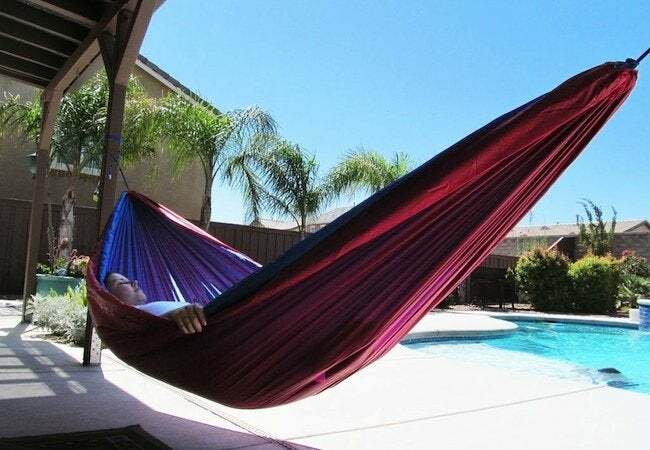 But first, you need a hammock. 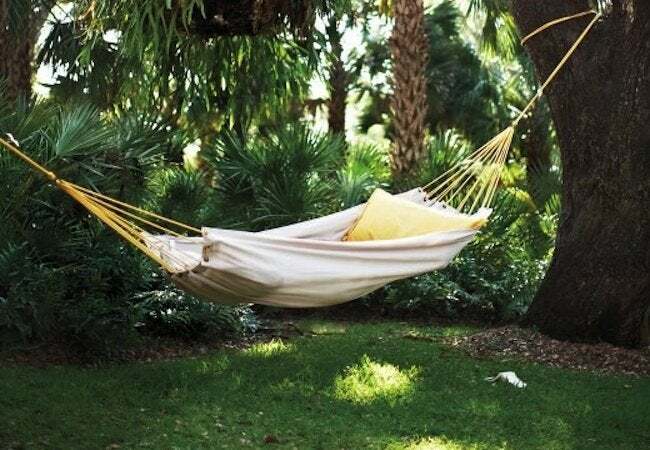 Here are some great DIY ideas for creating a beautiful, relaxing hammock of your very own. What else says summer like a hammock gently swaying in the afternoon breeze? 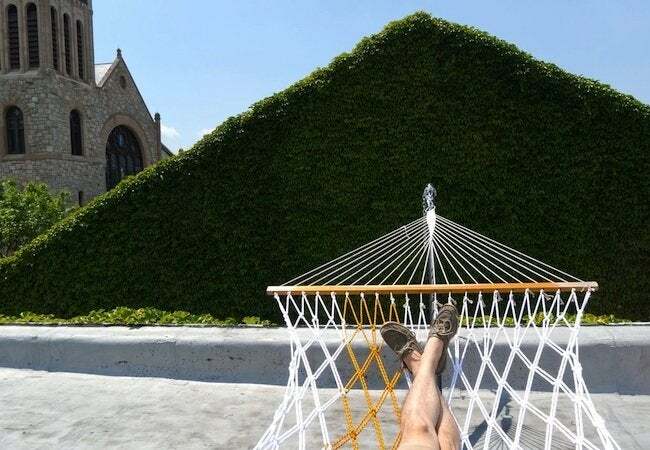 If you do not love the styles—or the prices—of the hammocks you’ve seen for sale in stores, or if you’re looking for a productive way to earn your nap time, consider getting this season into full swing by constructing your own DIY hammock. Scroll down to check out five inviting designs, each one easy to achieve with a set of basic tools and only a small quantity of readily available materials. We normally think of drop cloths as hardworking, durable, and unabashedly simple. As it turns out, those same qualities make a drop cloth perfect for reuse in a DIY hammock. Visit Martha Stewart to see how you can transform a 6′ x 9′ sheet of canvas, together with grommets and rope, into a lovely backyard lounger. To put a modern spin on the classic hammock design, opt to use rope in two colors. A list of the needed supplies can be found over at Design Milk, along with detailed instructions. 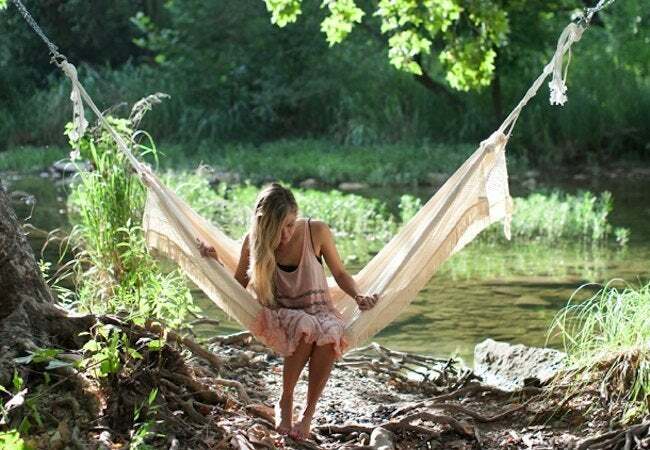 We think that when it comes to de-stressing, the process of weaving a DIY hammock actually rivals the simple pleasure of lying on one. From Camille Styles, here’s a romantically ethereal DIY hammock comprising a combination of airy, breathable muslin and sturdy canvas. Clothesline and simple chains do the work of suspending the hammock from adjacent trees, but it can be made even more elegant with optional lace or fringe embellishments. Ripstop nylon shows up in pants, parachutes, and a variety of other everyday applications. Light as a feather yet strong as a bull, it’s ideal stuff from which to craft a DIY hammock. To re-create this one, drop by Instructables for details on sewing together sections of nylon and forming the channels for the twin suspension cords. 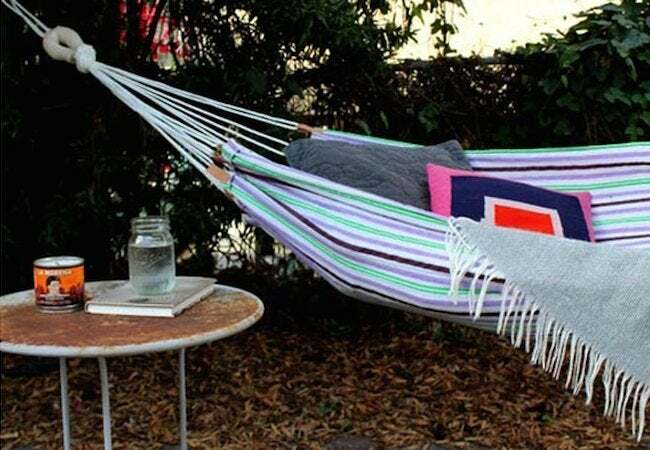 Comfortable and completely customizable, this creative DIY hammock ingeniously incorporates a bright beach towel made of plush cotton. To start on yours, the first step is to choose an oversize towel (at least 40″ x 80″) in your favorite summery color or pattern. Then head on over to Design Sponge to get the project tutorial.